On display now at 21c Museum is Truth or Dare: A Reality Show. Featuring work from around the world, the exhibition is host to over fifty artists bringing with them messages and milestones from their homelands. From photographs and installations to sculptures and video, the exhibition is saturated with political, social, and cultural commentaries. Serving as the lens through which the variety of work can be viewed is the writing of Argentinean author Jorge Luis Borges. Nestled modestly between the lobby and common corridor of the museum’s first floor is an excerpt from his 1946 On Exactitude in Science. A pioneer in the literary genre of magic realism, his work is sort of a fantastical spin on reality, bringing (then) contemporary issues into an imagined context. Being curated in the spirit of this blend of fact and fiction, Truth or Dare: A Reality Show seeks to embrace this quasi-existence. Setting the stage wide (and I mean very wide), 21c Museum offers up a platform for artist, activist, and protagonist alike, to bring their now contemporary issue, whatever it may be, into the realm of the knowable, the alterable, and the challengeable. From British parlors to suburban basements, ping-pong has roots in the upper social class. I knew this and knew it very well from a young age whenever I visited my friends on the other side of town. As I made the slow descent into their finished basements, I could smell the distinct scent of dry wall and feel the coarse but comforting carpet beneath my toes. It was foreign land for an east side girl whose basement was damp with mildew and cold from the exposed stonewalls and the cracked concrete floor. I dreamt of a basement filled with dart boards, air hockey, and yes, a ping-pong table. Had I any interest or talent in these games, no, but it wasn’t the act that I was interested in, it was the signifier that these games were. Tapping into this seemingly personal nostalgia is artist Trong Gia Nguyen. In his piece, Win Win (Flamingo’s Dream), Nguyen plays (literally) into the social construct of games, leisure, pastime, and rules. He exposes the world of play for the power structure that it is all through a simple yet elegant deviation of a ping-pong table. On a formal level, the installation is well executed: clean, minimal, and modern. The pop of pink color suggests something alternate about the space, drawing you in to discover what that is. The surface area of the table itself is only half of what it should be, the end intersecting the wall and a mirror. Not pictured here are two paddles and a ball that rest on the table, inviting the viewer to play. But through the formal components mentioned above, the play space is transformed from recreation to social criticism. 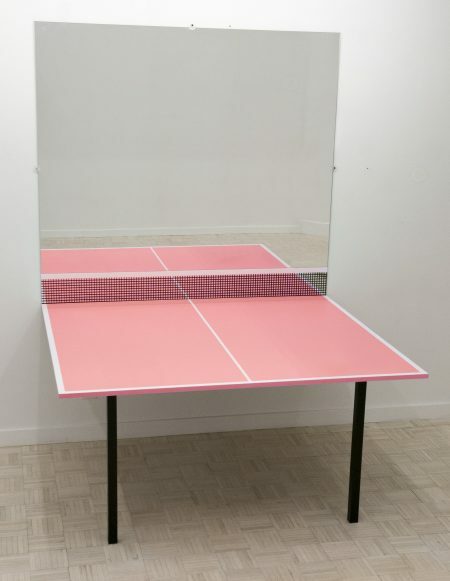 With the mirror as its backdrop, the opponent of the player is the player him/herself. The rules, then, are whatever you want them to be, making the game accessible and approachable. By altering the physicality of the space, Nguyen undermines the power of play and all its implications. There’s a smart and cheeky humor to Nguyen’s works that makes it wildly successful and relatable. Stratus, nimbus, and cirrus are the clouds most commonly above and around us. Permanent in their existence but changing in color, shape, and form, clouds embody the anomaly that nature is. It’s ubiquitous but unnoticed, abiding but fleeting. 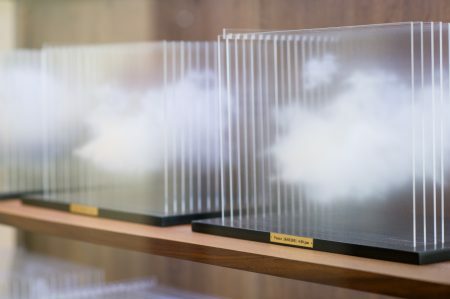 Artists Leandro Erlich captures this familiar paradox below. Fixed almost anonymously against the wall, La Vitrina Cloud Collection (Venice) resides in the common corridor of the hotel lobby. Its domestic-like appearance matched with its precarious placement almost make it mistakable for a piece of furniture instead of art. But a lovely piece it is and perhaps the strongest of the show. As if pulled from the sky and sealed in a box, the acrylic renditions are so airy and dreamy that you’ll swear he’s done just that. Floating, feathered, and fine, the iterations are eerily reminiscent of the clouds above. It is through this sort of questioning of reality vs. memory that the viewer is fixed and where Erlich thrives. But it’s not just the mastery of re-making that brings the viewer in; it’s the knowable manner in which we find the clouds. 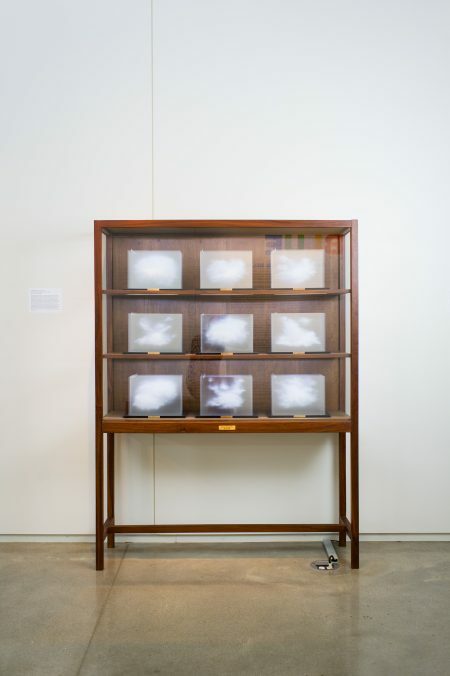 Displayed methodically in a box within a box, the clouds are organized on a symmetrical, measured, and equidistant grid. The once ethereal and transient cumulus clouds are now frontal and stagnant, waiting to be known and understood. This juxtaposition of nature and order, enigma and perception, make the piece the striking and successful work that it is. Central to all societies, communities, and people groups is language. Verbal, written, imagined, or sung, it can vary by region and even neighborhood. At its best, it is the thread that binds people together; at its worst, it undoes us stitch by stitch. In his contemporary take on a timeless classic, artist Jorge Mendez Blake explores the power of language as it pertains to today’s society. Borrowing from the literary master himself, Blake looks to Shakespeare to say it best in his sculpture Sin título (Acto V, Escena II). 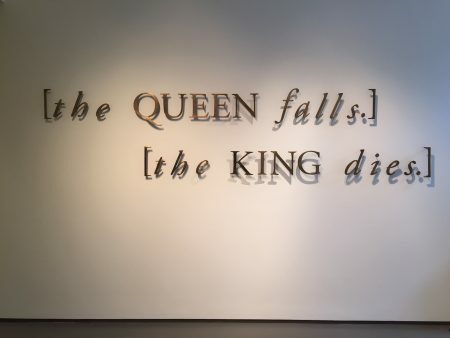 Taken from his drama Hamlet, the words: “[the QUEEN falls.] [the KING dies. ]” are forged unforgivingly onto the gallery wall. 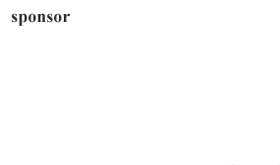 You won’t find these words in the drama itself, but rather in the play’s stage direction. This literary extraction is a mere summary of the tragedy that unfolds on the stage before us, and that’s just what Blake is getting at. Succinct and factual, this sort of paraphrase is all too familiar for the modern wo/man. Headlines of fatalities, reports of tragic incidents, social media tags lead you to live stream mania. In this quick and apathetic dissemination of news, reality is lost. To highlight and challenge this information epidemic, Blake creates a sort of memorial to the fallen and the dead. We see it in the size of the sculpture, the words large and all consuming. And we see it in the action-reaction clause of “[the QUEEN falls.] [the KING dies. ]”as if the former action caused the latter. His commentary is not just directed at the media, but at the human condition, too. While the news has the tendency to focus on the negative and play into fear and frenzy, humans, arguably, are the authors of their script. Somewhere in this milieu of myth and matter is Truth or Dare: A Reality Show. Dancing between reality and fantasy, the artists leverage both to explore and exploit contemporary commentaries and conundrums. Maybe it happens in the moment between the ping of the paddle and the pong of the ball hitting the table. Maybe it is floating in the space between the clouds in the sky and our minds. Maybe it rests in the lungs of the king as he inhales the last breath of the queen. To find your moment, visit the 21c Museum now through July 2019.